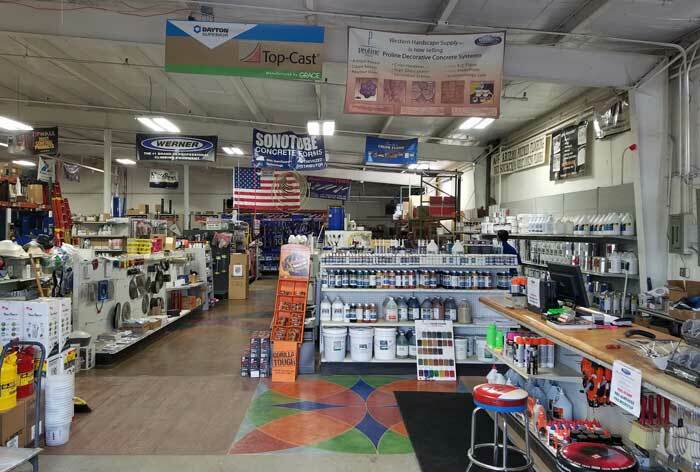 Western Hardscape Supply, Inc., a local family owned company, has become the largest and most comprehensive distributor of Construction, Concrete, Decorative Concrete, Concrete Coatings and Concrete Repair products in Colorado since March 2005. 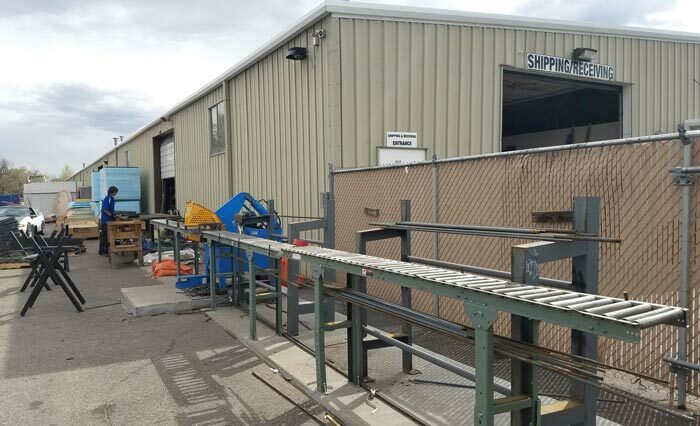 We deliver high-quality products at competitive prices throughout Colorado and pride ourselves in our customer service. WHS is a full service supply warehouse and showroom offering everything you need to successfully complete your construction, concrete and decorative concrete project from concrete stamping tools to integral colors, color hardeners and releases, epoxy and urethane sealers, stencils and acid stains, construction supplies, rebar, mesh, concrete forming, safety equipment, anchoring systems, ladders, wheelbarrows, construction dust control, caulks and sealants, drill bits, diamond blades, early entry blades, etc. . WHS stocks a huge inventory and maintains close relationships with their suppliers. That means you can depend on WHS for the materials and tools you need. A friendly and relaxed atmosphere will help every visitor to feel equally important whether he or she is a professional or just starting out. Our goal is to provide a place that construction contractors, decorative concrete contractors, homeowners, designers, architects and builders can come to view the various styles and discuss the possibilities. We have comprehensive concrete and decorative concrete experience plus extensive product knowledge, and strive to keep you abreast of current trends by providing continuous training opportunities, seminars or consulting services for you and your employees, to help improve the quality and variety of work offered as well as add new income potential. WHS shares the concern for our environment, so we are looking for more Green products and solutions. We are especially concerned about environmental issues regarding the impact of the chemicals used as well as the harmful odors produced. We are continually looking at new innovations and products in the construction and decorative market place. The decorative concrete industry continues to expand and change as technology and chemistry allows.